The cost of bailing out the overrunning Crossrail project could see a host of other transport projects in the capital put back, the chair of the London Assembly Transport Committee has said. 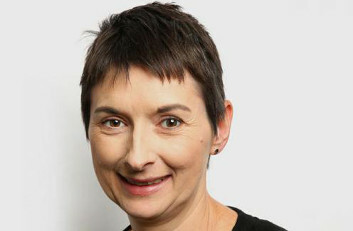 Speaking to Transport Network, Caroline Pidgeon said she feared that Transport for London (TfL) could be seriously hit by the additional and as yet unquantified capital costs of the delay to the £15.9bn project’s completion, as well as revenue loss from its delayed opening. The delay has already led to a further £600m bailout. She said: ‘In terms of longer-term capital investment in London, I think they are going to have to put back lots of other investment in projects, whether it’s Tube-related, DLR, and so on. I think we will start to see more pressure on all the other investments that have been promised across London because they are going to have to bail out Crossrail. ‘What I do fear is that it’s Londoners who are going to end up picking up the tab – it’s always been 50:50 between the Department for Transport and London. Londoners of course will benefit massively from this project so do places outside, including the prime minister’s own constituency of Maidenhead. 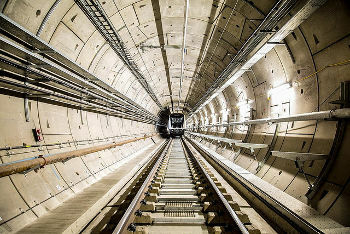 Crossrail Limited, the company responsible for building the new line, is a wholly-owned subsidiary of TfL and jointly sponsored by TfL and the Department for Transport (DfT). When the line is complete, it will be run by TfL as the Elizabeth line. She added: ‘This is at the time of the perfect storm – with the Government taking away any subsidy from TfL, the mayor choosing to freeze fares, advertising revenue being down and Crossrail not opening for at least a year, so that is really significant in terms of revenue. Ms Pidgeon told Transport Network that she felt that London mayor Sadiq Khan had misled both the Assembly and Londoners over when he knew that the project would be delayed. Having warned last month that Mr Khan risked losing the trust of Londoners over planned changes to the capital’s bus network, she acknowledged that she was now making a similar accusation. On the issue of oversight of Crossrail, Ms Pidgeon said: ‘What were TfL and DfT officials doing who were sitting on the Crossrail board, if they weren’t really interrogating what Crossrail were saying. People I speak to in different parts of the supply chain for Crossrail have all said they knew it wasn’t going to open on time. ‘And when we now hear that none of the stations are ready – it was going to open next week – it doesn’t stack up. So I think there are questions for the whole structure, the governance structure, for the TfL and DfT officials who were on it. ‘And equally, there are questions about why they kept on saying it was on time – they started to drop the "on budget" because they tried to get more money – there are questions, and I have written twice now to the FCA [Financial Conduct Authority] as to whether, when the statement went to the stock market when they got additional funding from the Government in July and it didn’t mention that it was not going to open on time, whether the markets have been misled.